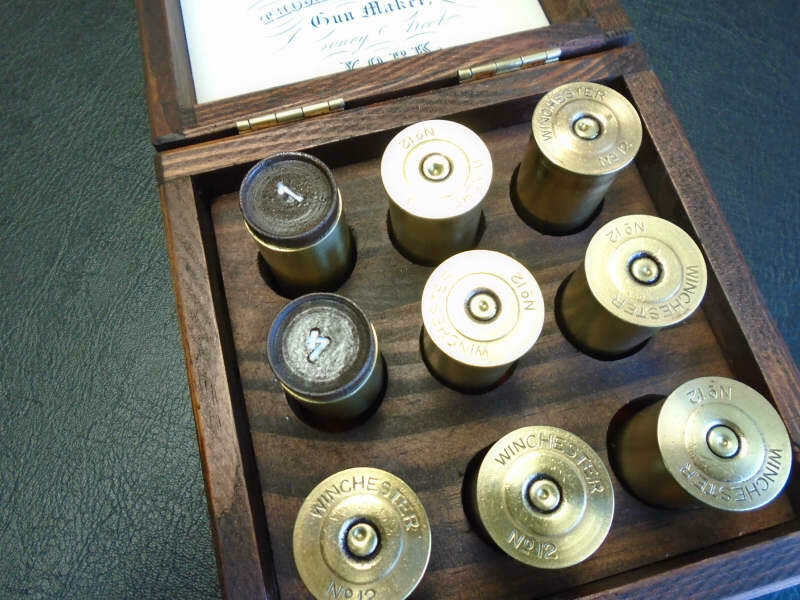 A unique antique peg finder. 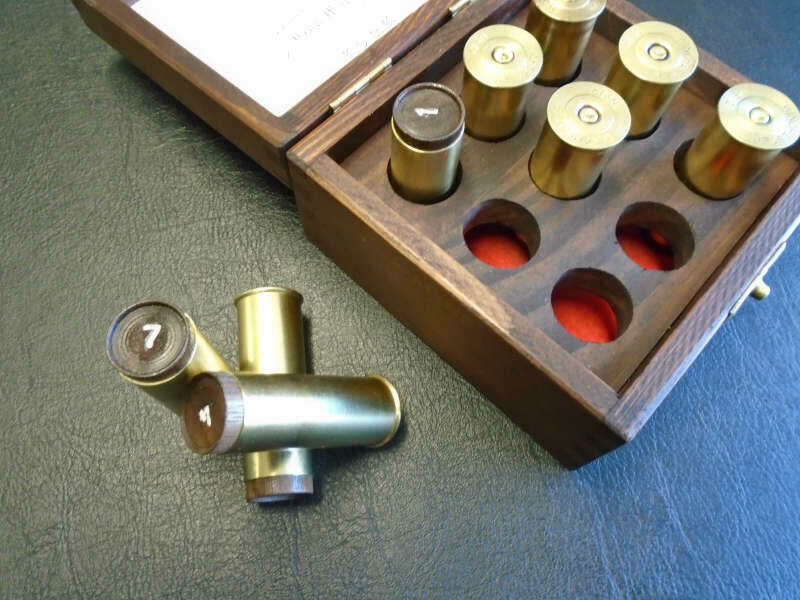 The only one produced as a collection of bespoke shooting gifts only one of each being produced. 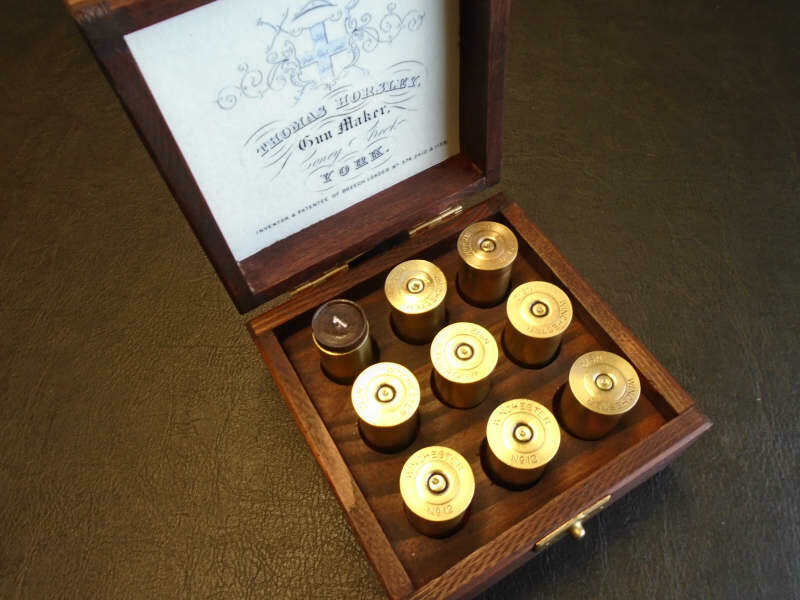 Using genuine Winchester 12 bore inert brass cases and walnut caps numbered 1 to 9. In matching walnut coloured box with brass latch and hinges. 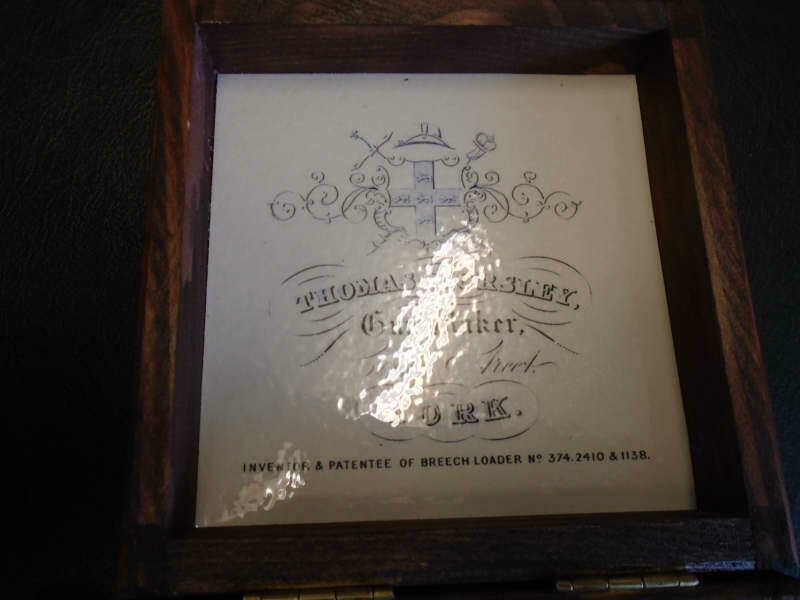 Complete with Thomas Horsley of York reproduction trade label in the lid.